Captain Bassam Al Diabat born in 1985, joined the Royal Jordanian Air Force 2003. Captain Bassam Thyabat graduated from KHAC in 2006 as a fighter pilot. He finished the tactical fighter conversion course on F-5 and then flew the F-16 for five years, he got the flight lead position. 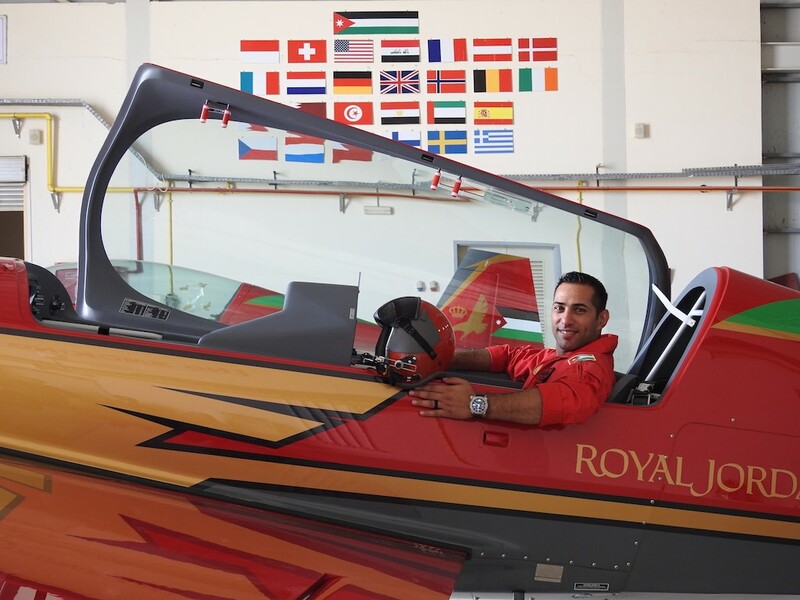 Captain Bassam Joined the Royal Jordanian Falcons team in 2014 as a display pilot. Captain Bassam is flying the Solo/Slot position.